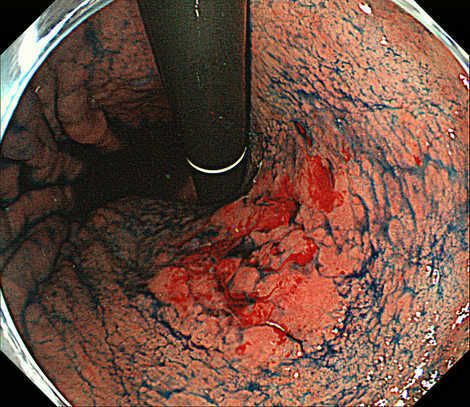 A reddish flat elevated lesion is noted in the mid-gastric body lesser curve. 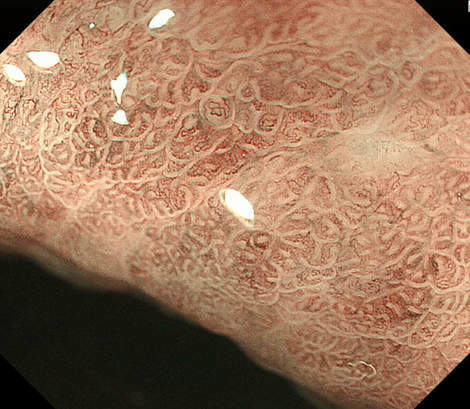 The border is vague under White Light observation, but becomes clear with Indigo carmine spray. 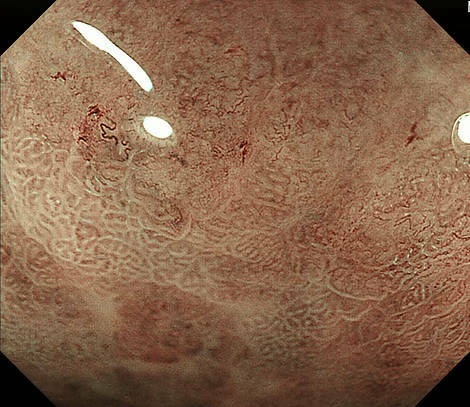 What does NBI magnification show? 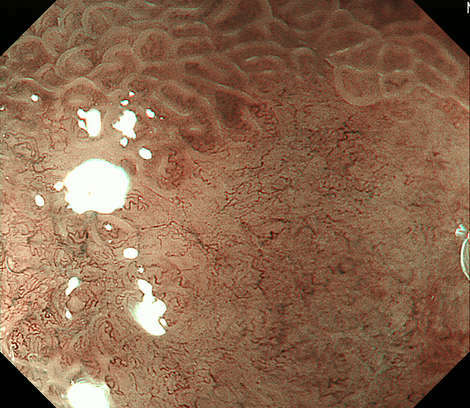 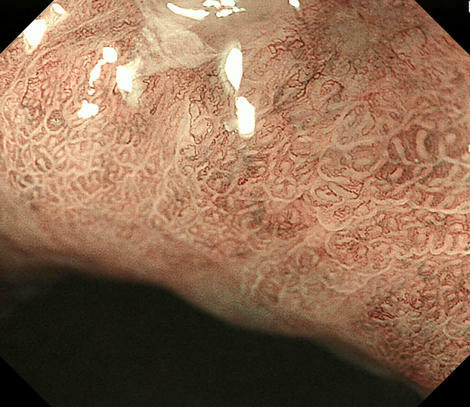 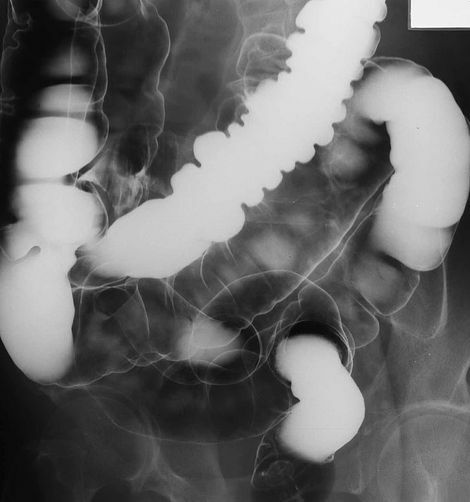 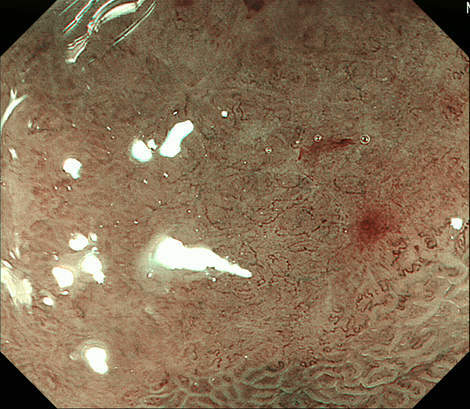 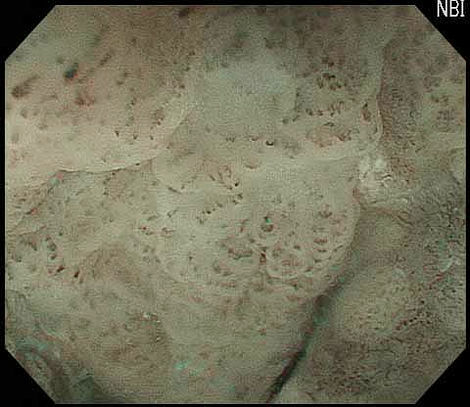 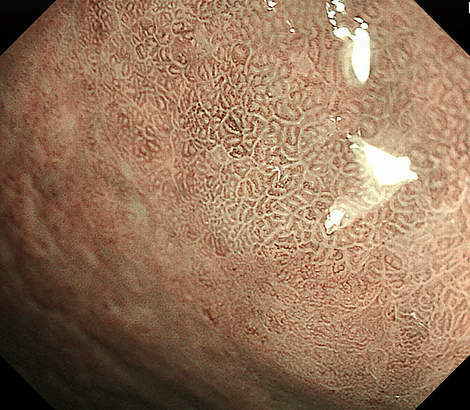 What is your histological diagnosis? 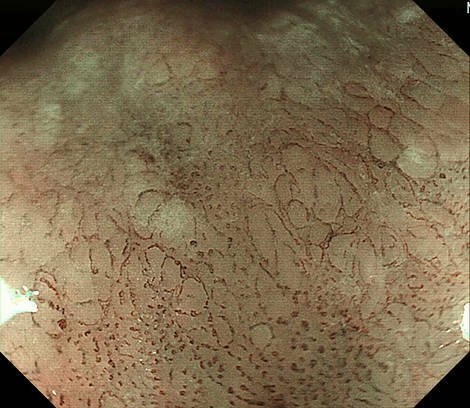 How will you treat this lesion? 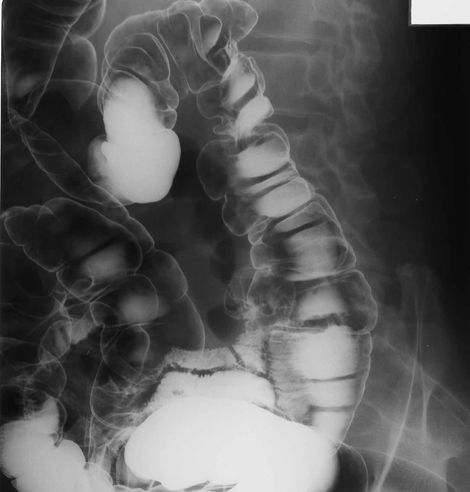 A laterally spreading tumor is noted in the ascending colon against the ileo-cecal valve. 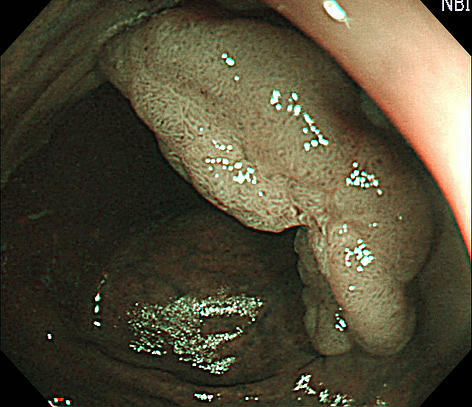 Type IV pits are observed. 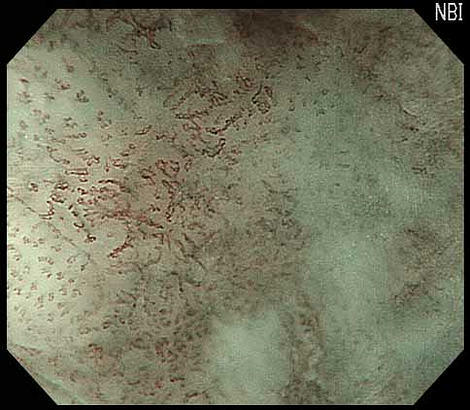 What does NBI maginification show about hitological type? 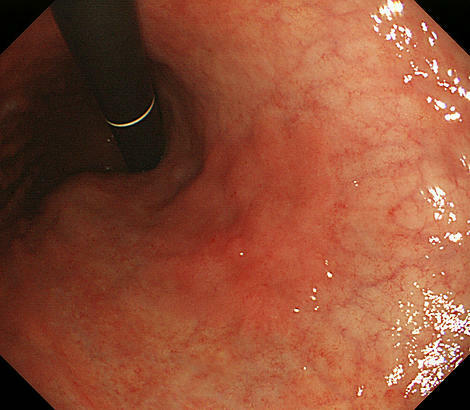 Scope maneuverability is poor due to formation of gamma loop during insertion. 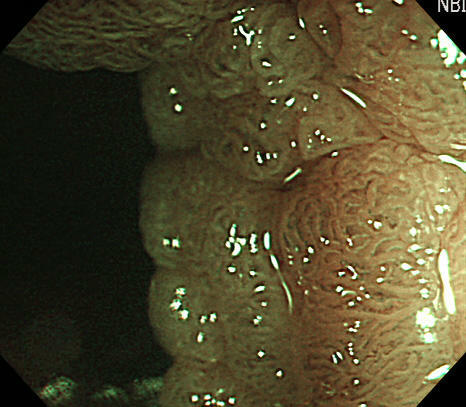 How will you treat this lesion? 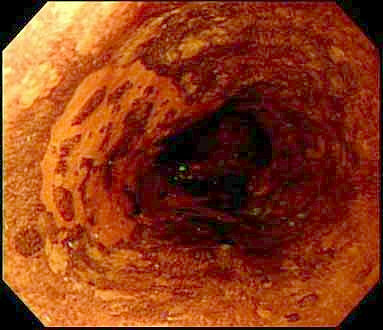 A slightly reddish area with decreased vascular visibility is noted on the posterior lesser curve in the lower gastric body. 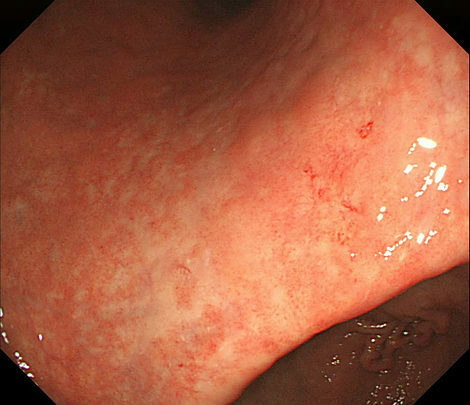 An ulcer scar is suspected within the lesion. 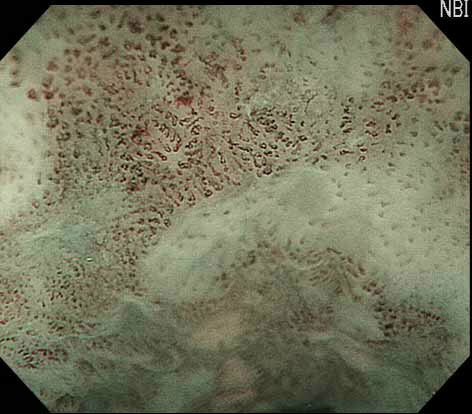 What does NBI show about histological type? 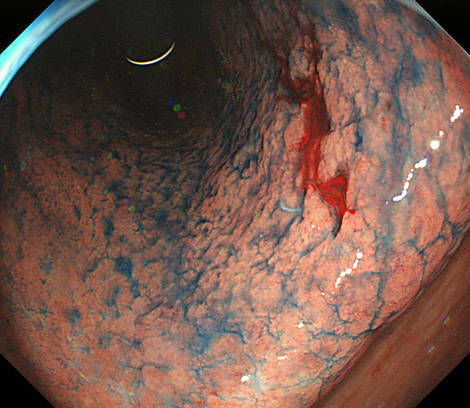 How will you treat this lesion? 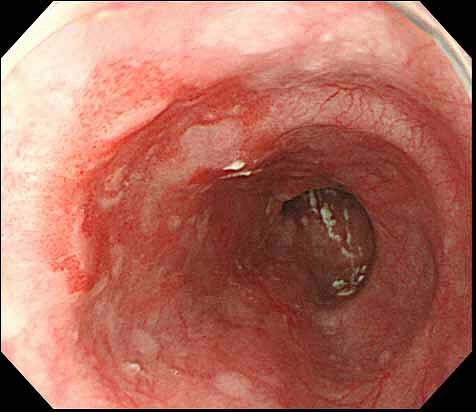 A 1/2 circumferential reddish depressed lesion is noted on the left wall of the distal esophagus. 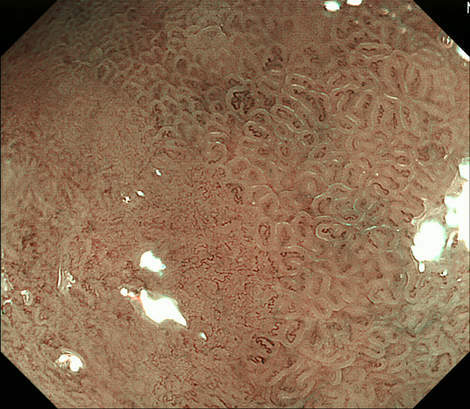 The lesion is unstained by iodine. 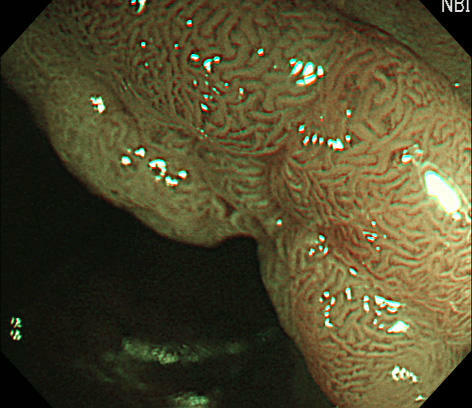 What does NBI magnification tell about the depth of this lesion? 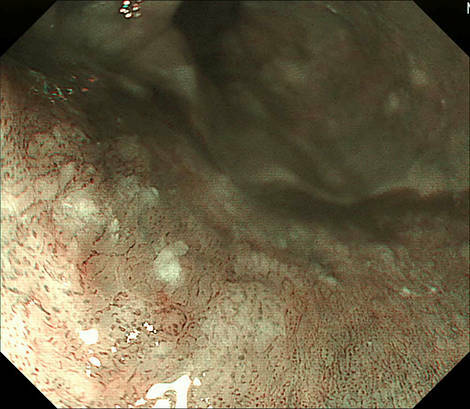 How will you treat this lesion? 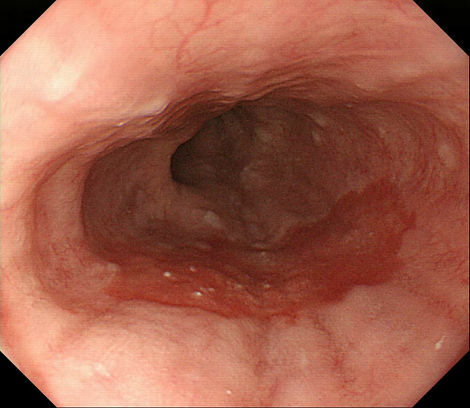 A 1/3 circumferential reddish shallow depressed lesion is noted on the posterior wall of the middlle esophagus. 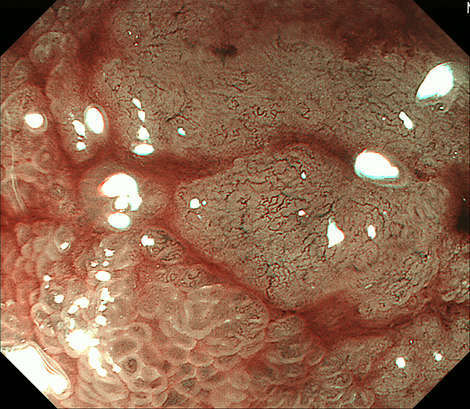 What does NBI magnification tell about the depth of this lesion?